Portable Humidifiers: Best-Rated Large & Small Room Vaporizers with Quiet, Germ-Free Moisture for Home & Travel at Discount Prices! Easily and Inexpensively Improve Allergy, Asthma, COPD, Even Skin Tone By Using a Quality Portable Air Humidifier. Here at Our Online Store You Can Buy The Best-Rated Filtered and Filter-Less Vaporizers That Provide a Clean, Quiet, Germ Free Mist of Moisture for Big Homes, Large and Small Rooms, and Travel Use, All For Sale at Cheap Discount Prices with Free Shipping! Having the right amount of moisture in the air you breathe and live in is very important. Air inside rooms becomes too dry for a variety of reasons, most commonly because the home’s air conditioner or heater removes too much water from the air or you live in a dry climate. When air inside the home gets too dry it causes a variety of health issues including respiratory problems, dry, cracked, itchy skin and sinuses, as well as increased allergy & asthma attacks. Top-rated portable filtered and filterless personal humidifiers cheaply, quietly and effectively restore a healthy balance of moisture by releasing clean moisture into the air of your basement, bedroom, office or any other room of your home. Water humidifiers soothe irritated sinus, help with skin care, relieve allergy symptoms and improve respiratory conditions such as asthma and COPD. Personal electric humidifiers are small, light and portable, making them easy to move from room to room or to hotels when you travel. Overall, top-rated portable humidifiers make it easy for you and your family to breathe properly humidified air wherever you go, in any room big or small. Depending on the size of the large or small room of your house or office and your specific needs, this will determine what type of portable electric humidifier is best for you. This is why it is important to review information about the different types of filtered and filterless humidifiers that are available before buying one. Another big consideration is to make sure that the water going into your personal humidifier is clean so that the moisture coming out is also clean. There are several different types of humidifiers, and many of them come filtered and filterless. If you have water filter or the running water in your home or office is very clean, you can often save a few bucks buying a filterless humidifier. However, if you want to make sure that the moisture from the humidifier is completely clean, buy one with a filter or buy a steam humidifier. Filtered and steam humidifiers are the best ones to buy for COPD and asthma. Regardless of the type of filtered or filterless portable humidifier that is best for you--and the large or small room you are buying it for--it's also important to buy a top-rated electric humidifier that is quiet, works well and lasts. Cheap discount personal humidifiers are cheap for a reason. They are often not high quality, not very effective, and break easily. Stadler Form USA is one of the best manufacturers of top-rated portable, quiet and effective humidifiers for allergy season and daily use. Stadler Form humidifiers are some of the best personal humidifiers you can buy for your home or office. And when compared to other top-rated humidifiers of similar quality, Stadler Form humidifiers are relatively cheap and better looking. For clean humidification in bigger rooms, Brune is a great value. We offer the best and quietest filtered and filterless portable electric humidifiers for both small and large rooms in your home or office. No matter what type of personal humidifier you are looking for, we have the best one for you on sale at a cheap discount price you can afford. Because of our low overhead, we are able to offer you top-rated portable electric humidifiers at cheap discount sales prices with free shipping every day. 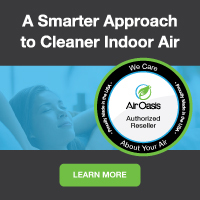 At Air Purifiers and Cleaners.com, we make it easy and affordable for you, your family and guests to get the skin care, allergy, asthma and sinus relief you need. If you’re not sure which top-rated quiet filtered or filterless personal humidifier is best for your basement, bedroom or other small and large rooms of your house, or office, give our experts a call at 1-800-701-2513. We’re here to help! **NOTE: We are in the process of adding more personal electric humidifiers to our selection so if you do not find one that is best for your needs check back often or give us a call and we will have either added it or can get it for you.